On the 20 January, the University of Malta hosted a symposium on â€œMulticulturalism, Integration and Contact amongst Socio-Ethnic Groups in Maltaâ€. 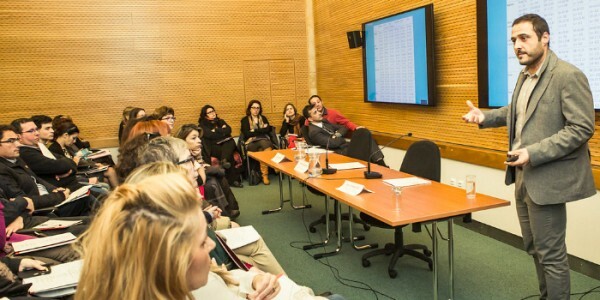 The symposium was held at Valletta University Campus, in the framework of the project RE.CRI.RE â€“ between the Representation of the Crisis and the Crisis of Representation – and aimed at communicating the results of international studies concerning intercultural relations. Thanks to this event, the results of the studies were delivered not only to the local academic community but also to government officials. What is more, Arab members, as well as other immigrants, had the opportunity to share their thoughts and experiences on the topic. The participation of experts on International Studies, Youth Studies and Social Policy enabled the interpretation of the results and the exchange on directions to further policies. The Re.Cri.Re study investigated social representations concerning the integration of Arabs amongst the Maltese. This was achieved through the identification of different argument structures that support or oppose integration. These argument structures pertained to six thematic clusters: sociopolitical, psychological, economic, religious, stigmatizing and cultural. The activity mainly focused on findings from research concerning intercultural relations in Malta, led by Dr Gordon Sammut (Psychology Lab). The participants highlighted the need for more psychological studies directed at intercultural argumentative strategies, due to its invaluable transnational potential. The findings of these studies were discussed by a multidisciplinary panel of speakers and the myriad implications of the results for Maltese society were debated. Participants also exchanged on integration, Arabs in Malta, Islam and immigration in general. Finally, the event was covered by television and the radio and a personal meeting between Dr Gordon Sammut and the President of the Republic of Malta was arranged, in order to discuss the findings of the project.